Employee Directory in Creative Social Intranet is designed and developed to be used in company intranet to improve internal and external communication. Recognising an employee or a group of employees who make significant contributions to your organisation improves productivity at workplace. Employee directory helps you display individuals or teams to know your co workers well. Doing all or some of the list below at a consistent basis significantly improves employee engagement but is a challenge in today's busy workplaces. Employee Directory in Creative Social Intranet provides some powerful tools to help you. Listed below are a few usage tips and mini how-to on improving employee engagement through EMPLOYEE DIRECTORY PRO. PEOPLE DIRECTORY makes it easy to find and connect with an various employees in an organisation. However, sometimes knowing who you are looking for in the organisation is half the battle, as there is a vast employee base. Viewing an entire department and its employee hierarchy can help you identify the right contact that can make things happen. The Employee Org Chart on your Corporate INTRANET does just that for you. The Employee Org Chart application displays the entire supervisor and manager relationships for employees at a glance. Looking for a particularly qualified executive to handle the intranet for their department? Simply search for employees in the PEOPLE DIRECTORY and use the built-in Employee Org Chart to discover who in that department is best suited for the post. Take a quick look through our Creative Social Intranet to see how our Employee Org Chart can better connect and handle superior work relationship between your employees. Employee Organisation chart is thus useful and productive in a great extent to reduce time, valuable functioning and so, Listed below are a few effective fundas of a well executed ORGANISATION CHART in our CREATIVE SOCIAL INTRANET. With the Employee Org Chart, one can simply look up who reports to whom with just a click of the mouse. Isn’t it the easiest way to search someone in a multinational corporate world. The manager-to-employee relationship can be accessed through the Employee Profile. 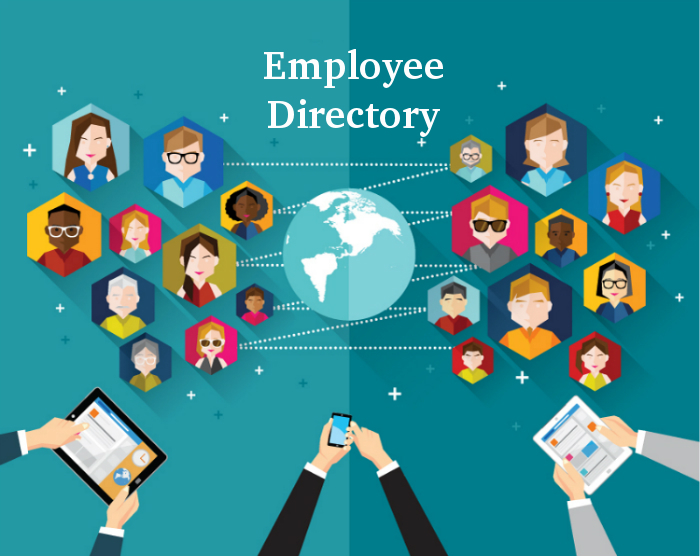 Then search for an employee on the People directory , click onto their profile and the Employee Org Chart application will display which department they are in and who they report to at-a-glance. Using the Employee Org Chart, you can also manage employee-to-supervisor relationships quickly and easily. Manually set who reports to whom, or simply import the relationships from the robust PEOPLE DIRECTORY. This allows you to maintain employee relationships efficiently, as well as makes it simple to add new employees with just a few clicks of the mouse. Need to connect with someone urgently from the Human resource Department? The Employee Org Chart also provides a way for you to contact anyone in any department, allowing users to connect with multiple parties quickly. Once you’re viewing the Employee Org Chart, simply select who it is you wish to connect with and you will have the option to directly e-mail, post on to Message Boards, Live Chat or Follow the Colleague(s). This is especially useful for those in large organisations with several departments. Why Employee Profiles Are Important ? What’s your company’s greatest asset? It’s the people who work for you. When you take care of your people, they will take care of you. After all the people you hire, employ, and promote are your business. When you create a team of hard and happy workers, it will take your business to new levels. Tap into this reliable asset called EMPLOYEE PROFILE and use it to your advantage. When you create employee profiles that highlight the valuable members of your team, it will build your employer brand and be a powerful social recruitment tool that can help you to attract the next batch of top talent. Employee profiles helps to bring your team to life and that ultimately defines your employer brand. When you utilize employee profiles on your website, your career site, or intranet site, it helps to paint a picture of your team, your company, and your culture, Creative Social Intranet’s dynamic feature of EMPLOYEE PROFILE has been time and now updated with new features and latest techniques making it more appealing, reliable and effective just like other popular social media engines.